Highway City Community Development, Central Community Church and the Community Food Bank will be a FREE food distribution site through a Farmer's Market type set-up. Distribution starts at 4p.m. on a first come first serve basis until food runs out. Food distributions will normally be on the 3rd Monday of every month (Except due to holidays, when we serve on the 4th Monday) located at Central Community Church (behind the offices @ the basketball courts). We will not hold Food Distributions in July & August. 4710 N. Polk Ave, Fresno CA 93722. We use a number system, you do not need to arrive any earlier than 3:00pm, as we have other programs on campus. We can always use volunteers for this event. All that is required is to fill out a volunteer form, day of distribution. Please wear comfortable clothing, appropriate for a food giveaway (closed toe shoes for example, wear sunscreen, bring water). Hunger hurts everyone, but it's especially devastating to children. Getting enough nutritious food is critical to children's physical and emotional development and their ability to excel academically. When we combat child hunger and provide nutrition, we cultivate children's potential and their ability to excel academically, helping them to become tomorrow's leaders and innovators who positively shape the Valley's future. 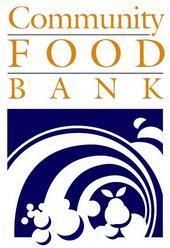 16.6% of the families in Fresno County suffer from FOOD INSECURITY during the month. More than 64,000 people in Fresno have an empty refrigerator at least once a month. Being worked on now is a FOOD SYSTEM NETWORK EXCHANGE to help "recover" food and reduce waste! COLLECT - SHARE - DIVERT WASTE!